BOUCHETTE, JOSEPH, surveyor and militia and naval officer; b. 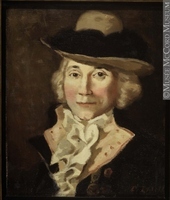 14 May 1774 at Quebec, eldest son of Jean-Baptiste Bouchette* and Marie-Angélique Duhamel; m. 4 July 1797 Adélaïde Chaboillez, daughter of Charles-Jean-Baptiste Chaboillez*, in Montreal, and they had five children; d. 8 April 1841 in Montreal. Joseph Bouchette’s name does not appear on the list of pupils who attended the Petit Séminaire de Québec, and a number of historians have therefore concluded that he received little schooling. Many aspects of his life and career, however, suggest otherwise. The ease with which Bouchette wrote and spoke English and his ability to assimilate in one year the knowledge required to obtain his surveyor’s diploma suggest that he had some education. It is possible that he received it from his mother, who was well educated, or took lessons from an English teacher, or was able to sail on a training ship. 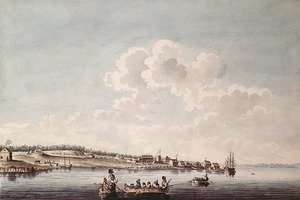 In 1817 Bouchette declared in one of his statements of service that he had done survey work with William Chewett’s team in the Montreal region in 1788, and in the area between Vaudreuil and Long Sault (Ont.) the following year. 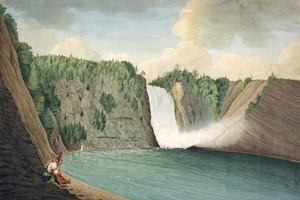 In March 1790 he is listed as an employee of the Surveyor General’s Office in Quebec, where he had been hired as assistant draftsman to recopy surveys of the province. That his uncle, Samuel Johannes Holland*, was surveyor general doubtless helped him obtain the post. Bouchette, who made friends with one of Holland’s assistants, James Peachey*, a talented painter in water-colours, took advantage of his move to the town to attend classes given by François Baillairgé*, a well-known artist, architect, and woodcarver. On 25 March 1791 Bouchette qualified as a surveyor, but he chose to enlist in the Provincial Marine. He went to York (Toronto) that year to serve under his father, a master and commander on the Great Lakes. Because of his skills, young Bouchette was put in charge of the hydrographic surveys of the harbour at York, which he completed in November 1792. He distinguished himself in May 1794 by refloating a schooner that had sunk near the harbour and was considered beyond recovery. The exploit earned him promotion to second lieutenant that month. The next winter he worked as a draftsman to make several copies of a map of Upper Canada. 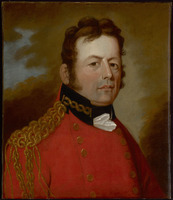 A severe reduction in the Provincial Marine in 1796 obliged him to leave that service and he then bought a lieutenant’s commission in the Royal Canadian Volunteer Regiment. 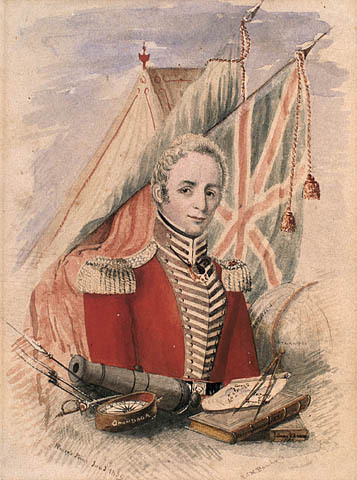 Returning to Lower Canada, he took up residence in Montreal, and on 1 June 1797 he received command of an armed ship and a detachment of 30 men from his regiment. He was assigned to the St Lawrence between Quebec and Montreal. At Holland’s request, during the winter of 1800–1 Bouchette acted as examiner for those seeking to become surveyors. He went to live at Quebec in the spring of 1801, and in July he returned to the Surveyor General’s Office. Holland was getting old; he needed a reliable assistant who might one day replace him. He wanted his son John Frederick to have this position but Lieutenant Governor Sir Robert Shore Milnes used his authority and influence to see that Bouchette received it in July. Milnes’s choice was hardly surprising, given the importance he attached to developing the townships. Bouchette, who had shown his loyalty to the crown on many an occasion and had even made friends with the Duke of Kent [Edward* Augustus], was a man on whom the lieutenant governor could count. Holland died on 28 Dec. 1801; Bouchette took over his duties on an acting basis and his appointment as surveyor general was officially confirmed in 1804. His first task was to restore order to a department that had been rather neglected by his predecessor as a result of tensions with the Americans but probably even more because of his great age. In March 1806 Bouchette drew up a report on the seigneury of Saint-Maurice and the land occupied by the ironworks. This document included maps and plans, which were accompanied by a detailed account of the work done by his colleagues as well as his own observations and findings. The following year Bouchette went to London to draw the authorities’ attention to the importance of establishing the boundary between Lower Canada and the United States exactly. He emphasized the need to plot the 45th parallel with accuracy. After his return to Quebec late in 1807, he collected data for a map of Lower Canada and a statistical and descriptive work to go with it. This project did not prevent him from attending closely to his work as surveyor general. On 12 Dec. 1808, for instance, he submitted a report on the determination of the boundary between the United States and Lower Canada. He did topographical and hydrographic surveys of the shores of the St Lawrence from Cap-Rouge to Sillery in the summer of 1809 and of the estuary of the Saint-Charles the following summer. In 1811 he returned to the problem of the boundary with the United States. Bouchette also had a successful military career. The War of 1812 gave him the chance to distinguish himself by carrying out important reconnaissance missions. As a surveyor he was able to describe all the approaches which a defence network would have to control. His missions took him to Lachine, the shores of Lac Saint-François, and Rivière-du-Loup, as well as to Lacolle and Odelltown. He took advantage of the war to establish links with a number of leading figures, among them Governor Sir George Prevost*. On 26 Oct. 1812 Bouchette was commissioned major of the Île d’Orléans battalion of militia. The following month he raised the Quebec Volunteers, which he subsequently commanded. He was promoted lieutenant-colonel in the Lower Canadian militia in March 1813. The termination of the war brought his military career to an end, but he retained the rank of lieutenant-colonel. He would often mention his exploits, for example when asking the government to give him a better salary. On 18 Feb. 1814 Bouchette presented before the House of Assembly his project to produce a large-scale map of Lower Canada accompanied by a topographical dictionary; the assembly referred it to a special committee which brought in a favourable report on 23 February. Meeting in committee of the whole, the house decided to place £1,500 at Bouchette’s disposal. A public subscription was also launched, the fee being five guineas payable on receipt of the map. The majority of the subscribers were English-speaking, a clear indication of the privileged links between Bouchette and this community. With the assurance of the assembly’s backing, Bouchette left for England in August 1814 to arrange for publication of his work. He was counting on the support of the governor and senior office holders, as well as the friendship of a few influential persons, among them the Duke of Kent. In London Bouchette published in 1815 a map of Lower Canada drawn on a scale of 24 miles to the inch, and an accompanying catalogue in French which also appeared in English under the title A topographical description of the province of Lower Canada. The work was evidently well received in scientific circles, since on 1 April 1816 the Society for the Encouragement of Arts, Manufactures, and Commerce in London conferred a gold medal upon him. On returning to Lower Canada, Bouchette received another mark of appreciation, this time from the seigneur Alexander Fraser, who in November 1817 donated a quarter of the seigneuries of Madawaska and Lac Témiscouata to him. In March of the following year Fraser added a twelfth in joint ownership. During his stay in London Bouchette had been appointed special surveyor to the king, with responsibility for putting into effect article 5 of the Treaty of Ghent, which provided for the creation of commissions to settle the disputed boundary between New Brunswick and the United States [see Thomas Henry Barclay*]. Eager to carry out his task well, before returning to North America he had taken courses in astronomy at his own expense. He landed at Halifax in September 1816 and two months later was at Quebec, where he prepared a plan that he would personally submit to the British arbitrators. In the spring of 1817 Bouchette went with some American surveyors to the source of the St Croix River. The boundary between New Brunswick and Maine was to be laid out from this point. He then handed the commissioners a voluminous report for which he was much praised. He left immediately for Burlington, Vt, and there organized an expedition to plot the 45th parallel. 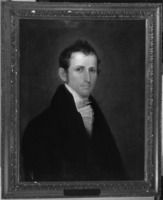 But he caught “Lake Champlain fever”; becoming critically ill, he had himself taken back to Montreal, and in 1818 he was replaced by surveyor William Franklin Odell. Determining the boundary was not the only problem that Bouchette had to face at this period. He also had to try to fix the lines between crown lands and seigneuries. With this in mind he asked all the seigneurs for copies of their title deeds, to enable him to direct the work of his survey parties. Furthermore, his office was swamped with requests from men who, having served in the war, had received crown land grants and wanted them surveyed. Matters were in such a state of confusion that in 1820 the governor, Lord Dalhousie [Ramsay], asked Bouchette to investigate the situation in the area between Lake Champlain and the American frontier and the St Lawrence River. It was necessary to identify which of the occupied lands had been surveyed and which had not. The following year Bouchette was again busy tracing the boundary and submitted a report setting out the problems. Subsequently he directed the work on a vast number of files related to the surveying of crown lands in Lower Canada. Because there was still so much confusion regarding grants to military men, in 1824 Lord Dalhousie asked Bouchette to make a tour of the various townships in which they were located. Following his round of inspection Bouchette published a report in 1825 which earned him a letter of congratulation from the governor. From 1826 to 1829 Bouchette collected data for another book. 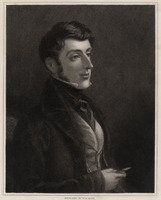 On 29 Sept. 1829 he left for London, along with his wife and his son Robert-Shore-Milnes*. Though he was assured of the government’s backing (the assembly had promised to buy 100 copies), as well as of support from his many friends in England, it still took him three years of effort to get three volumes published, this time only in English. The first two were entitled The British dominions in North America; or a topographical description of the provinces of Lower and Upper Canada, and the third A topographical dictionary of the province of Lower Canada. A map of Lower Canada showing the administrative divisions of the province came with the books and it was the one used in the 1831 census. Bouchette remained in Europe until 1834 and took the opportunity to visit France and Italy. During this period his son Joseph, who had been deputy surveyor general for some years, replaced him and seems to have carried out his responsibilities well. On his return Bouchette resumed his duties, but he left his son in charge of a number of matters. By then Bouchette was elderly and had difficulty putting up with the animosity shown him by his compatriots in the assembly. From the moment he entered public service he had proved a devoted and staunch servant of the crown. His association with the English party had aroused the dissatisfaction of the Canadian majority in the assembly. Bouchette had made his views quite clear. In 1822 he had helped set up a committee supporting union of the two Canadas and had indeed been the only French-speaking member on it. In a public speech on 28 November he had demonstrated the necessity of union, even if it would be greatly in Upper Canada’s favour. He was sorely tried when his youngest son, Robert Shore-Milnes, espoused the Patriote cause and was sentenced in 1838 to exile in Bermuda. Bouchette’s desire to be identified with the English-speaking community created other difficulties for him. Being an office holder, he paid great attention to his public image. He lived beyond his means, which caused him many financial troubles. For example, between 1809 and 1829 he was summoned before the courts more than 75 times for unpaid accounts. Generally small amounts owing a tailor, a shoemaker, or a general merchant were involved. From 1817 his financial problems became serious. 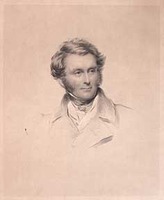 The publication of his first work on Lower Canada had resulted in a deficit of £1,702. As the assembly had paid him only £500 of the £1,500 it had promised him before he left for England, Bouchette demanded the sum due him. His case was discussed on many occasions in the house, but the Canadian majority blocked settlement of the dispute. It was not until 1875 that the crown paid compensation to his grandsons. In 1818 Bouchette’s salary had dropped from £600 a year to £400. He protested vigorously to the authorities, drawing up a list of his numerous faithful services and demanding a seat on the Legislative Council. Finding that his financial situation was worsening, he tried speculating in land. Between 1818 and 1824 a number of advertisements of houses being offered for sale or rent by Bouchette appeared in the Quebec Gazette. The endeavour turned out badly, however, since on three occasions his properties were put up for sale by the sheriff. His situation was so disastrous that in 1824 he had to part with the plates and the original manuscript of the work brought out in 1815. Order was apparently restored in 1829 after his lands at Lac Témiscouata were sold. Despite his many financial problems Bouchette subscribed regularly to the Quebec Fire Society from 1803 to 1821. In 1801 he was a member of the commission managing the Jesuit estates, and in 1805 and 1806 he sat on the board of the Union Company of Quebec. 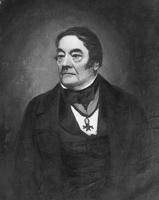 He contributed financially to the Quebec Emigrants’ Society in 1820. The following year he joined the district agriculture society; he was also elected member of a committee to promote education. 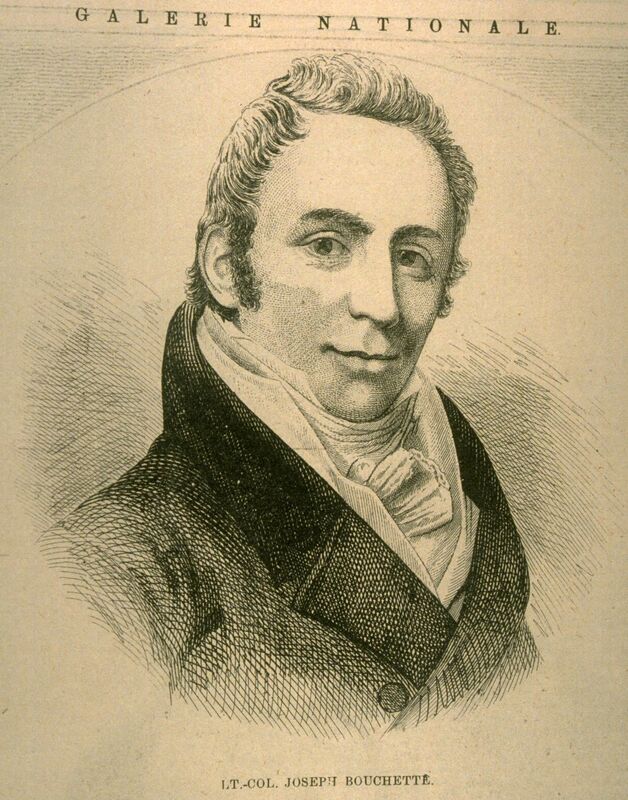 In 1824 he contributed to the founding of the Literary and Historical Society of Quebec. It was he who was behind the establishment of the Société pour l’Encouragement des Sciences et des Arts en Canada in 1827; he was its president until 1829, when it joined with the Literary and Historical Society of Quebec. Bouchette left Quebec in the autumn of 1840, apparently after differences with the governor, Lord Sydenham [Thomson]. Sydenham abolished the post of surveyor general, which Bouchette was the last to hold. Henceforth its responsibilities came under the commissioner of crown lands. 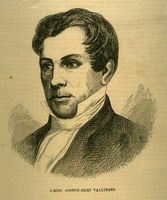 Bouchette took up residence in Montreal and died there on 8 April 1841. His funeral was held in the church of Notre-Dame, where he was buried. A great man, Bouchette none the less aroused much controversy. He was admired by the colonial authorities, and as a result he was on very bad terms with the Canadian majority in the House of Assembly. His loyalty to the crown, his desire to establish a colony centred on English culture, his important office, and his stand on union all caused him to be regarded as a man who had sold out to the English. 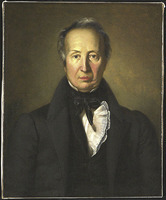 Some of his biographers charge that Bouchette used and even plagiarized work by William Berczy* in preparing his 1815 volume. This does not seem likely however: no trace has been found of Berczy’s manuscript, and through his professional activities Bouchette possessed all the material needed for his books. The work that came out in 1815 represented the first synthesis of information about the geography of Lower Canada. Bouchette was labouring in the interests of the British empire, but his works reveal a great concern for the advancement of science. His 1832 publications were even more detailed and complete than the earlier ones. As surveyor general Joseph Bouchette was obviously in a favourable position to develop and publish his material. Nevertheless the synthesis that he produced from his labours, augmented by his personal research, rouses admiration and makes him particularly important for the history and development of Canada. In addition to completely reorganizing surveying and cartographic services in Lower Canada, he published works that demonstrate his artistic and scientific talents. He may also be judged by an impressive number of maps. 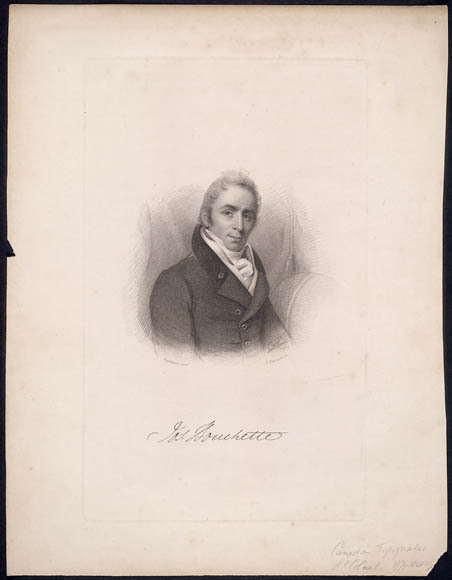 Joseph Bouchette is the author of A topographical description of the province of Lower Canada, with remarks upon Upper Canada, and on the relative connexion of both provinces with the United States of America (London, 1815; repr. Saint-Lambert, Que., 1973); The British dominions in North America; or a topographical description of the provinces of Lower and Upper Canada . . . (2v., London, 1832); and A topographical dictionary of the province of Lower Canada (London, 1832). ANQ-M, CE1-51, 13 avril 1841; P1000-1-57. ANQ-Q, P1000-14-255. PAC, MG 11, [CO 42] Q, 81, 123, 135, 157, 159; RG 31, C1, 1831. R.-S.-M. Bouchette, Mémoires de Robert-S.-M. Bouchette, 1805–1840 (Montréal, 1903). L. C., House of Assembly, Journals, 1815, 1817–19, 1821, 1823–25, 1827. La Minerve, 25 mai, 18 juin 1827. Quebec Gazette, 11 April 1805; 6 Feb. 1806; 15 March 1819; 6 April, 23 Oct., 2 Nov. 1820; 10 May, 25 June, 9 Aug. 1821; 6 June, 2, 5 Dec. 1822; 1 April 1824. [F.-M.] Bibaud, Dict. hist. DOLQ, 1: 68–71, 179–81. Le Jeune, Dictionnaire. H. J. Morgan, Sketches of celebrated Canadians. Claude Boudreau, “L’analyse de la carte ancienne, essai méthodologique: la carte du Bas-Canada de 1831, de Joseph Bouchette” (thèse de ma, univ. Laval, Québec, 1985). M.-A. Guérin, “Le lieutenant-colonel et arpenteur général du Bas-Canada, Joseph Bouchette, père” (thèse de bibliothéconomie, univ. de Montréal, 1951). Gérard Parizeau, La société canadienne-française au XIXe siècle: essais sur le milieu (Montréal, 1975). N.-E. Dionne, “Joseph Bouchette,” BRH, 20 (1914): 226–30. Édouard Fabre Surveyer, “Joseph Bouchette, ses frères et sœurs,” BRH, 47 (1941): 180–82; “The Bouchette family,” RSC Trans., 3rd ser., 35 (1941), sect.ii: 135–40. 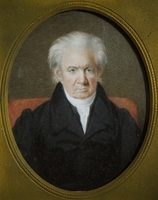 “Joseph Bouchette en Angleterre de 1829 à 1833,” BRH, 43 (1937): 245–46. Gérard Parizeau, “Joseph Bouchette: l’homme et le haul fonctionnaire,” RSC Trans., 4th ser., 9 (1971), sect.i: 95–126. Benjamin Sulte, “Jean-Baptiste Bouchette,” RSC Trans., 3rd ser., 2 (1908), sect.i: 67–83. Albert Tessier, “De Jacques Buteux à l’arpenteur Bouchette,” Cahiers des Dix, 4 (1939): 223–42. Claude Boudreau and Pierre Lépine, “BOUCHETTE, JOSEPH,” in Dictionary of Canadian Biography, vol. 7, University of Toronto/Université Laval, 2003–, accessed April 22, 2019, http://www.biographi.ca/en/bio/bouchette_joseph_7E.html.